Learn to wrestle in prayer until the breakthrough comes! Does God still answer prayer? Many of us complain that we don’t see God working in our lives, but we are not really giving Him the opportunity to show Himself strong and faithful on our behalf. Prayer has become more of an afterthought than a focal point in our lives. 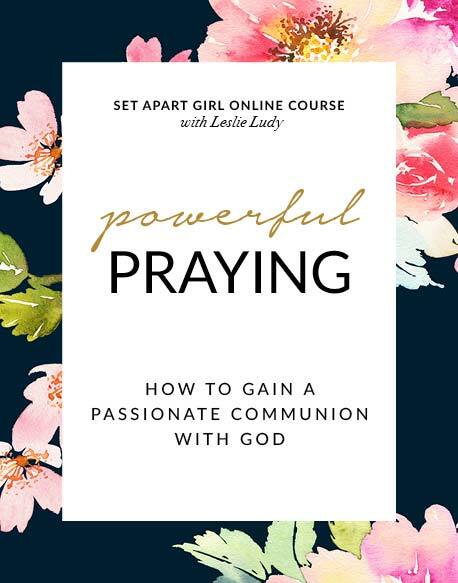 In this eye-opening and practical course, Leslie shares the practical and biblical secrets for powerful praying and seeing the faithfulness of God in your daily life. No matter how impractical prayer may seem to your right now — it is more than possible for you to develop a thriving prayer life! In this course you will learn how to shift your praying from mediocre to fervent, from sporadic to consistent, and from weak to faith-filled — and watch your life transform as a result!